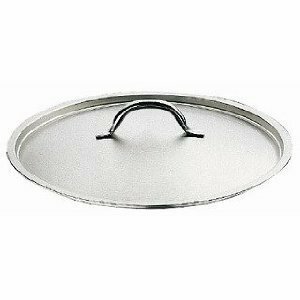 This 14-1/8-inch stainless-steel frying pan lid's soft dome shape is designed to condense vapors and flavors. The Grand Gourmet series boasts an outer and inner satin polish and a mirror-finish along the edges. It has a welded handle. Made in Italy by Paderno. NSF approved. Limited Lifetime Warranty.